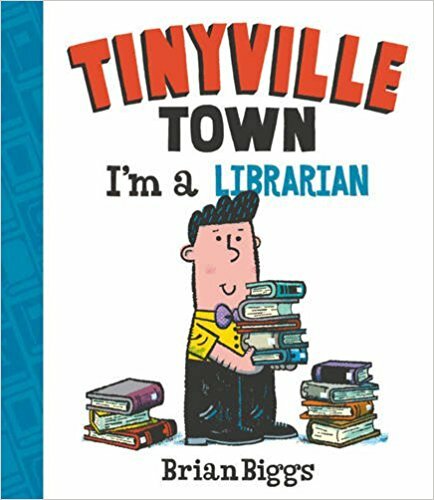 I was sent the latest book in the Tinyville Town series by Brian Briggs - I'm a Librarian. This book takes us on a tour of what a librarian's job looks like. We see him helping people find the information and books they need. He also stocks the shelves at the end of the day. This simple story is adorable and gives subtle information on the different sections within the library such as reference and periodical. Our librarian loves his job and it comes across on the pages as he helps find materials for his little friend. For more information visit Abram books.